…coworkers or contacts tell us quite often. It’s true – Doris & Rainer from Rayaworx help with many things having to do with coworking, living, and working on Mallorca. 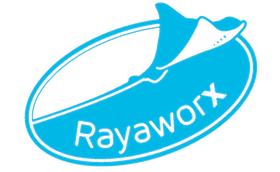 Because Rayaworx in Santanyí​ ​is more than a productive location: it’s coworking and coliving. Know-how-transfer​ ​for​ ​coworkers,​ ​individual training can be booked as an add-on to your coworking ticket. Because there are often many small questions that can be worked on in a personal meeting on the day. Children’s soccer: Children of coworkers love the wonderful soccer camp Fussicamp in Santanyí​ and Cala Millor - even if your kids like soccer just a little, then the soccer camp is the right thing for them! Simply enter the unique community in​ ​Santanyí and pursue your own business in a comfortable work space: that is coworking or coworkation with Rayaworx. Your coworkers Doris & Rainer already went there and keep on making contacts to an ever-growing community. When will you be an enthusiastic part of it?